I MISS BLOGGING! Too long a hiatus this time round but I have a good reason! We baked a 2nd bun in the oven – a baby girl! That’s a good reason right? 🙂 Anyways I’m back! Have you caught on with all the fancy popsicle and ice cream making tools from Zoku? We got the 2 cavity popsicle maker and the ice cream maker – really great ideas for doing these things in your home and without really having to wait for hours. It’s done in 7 -10 minutes! I thought it’d be a neat idea to do this with my 3 yr old son but something I’ve learnt is… 7 mins is 7 mins too long for a 3 yr old to wait. Nevertheless, this is a little bit of review of the products and also a recipe for making your own Churn-It-Yourself (CIY) Ice Cream at home. Zoku Ice Cream Maker – the bowl is really only single serve and the proportions that are given in the Zoku Recipe that comes with the maker makes 4- 5 times more than the bowl can hold. My experience was a little disappointing but it was probably largely due to the fact that my ice cream mix probably wasn’t chilled enough. So even after an hour of putting the unit in the freezer, we still had extremely slushy ice cream. And what do you do with the extra portions of ice cream mix? I decided to put the remainder in my Tupperware FreezerMate and CIY (you can of course use any freezer friendly container with a lid). CIY Ice Cream – I placed all the fruits and dry ingredients (recipe adapted from Zoku’s Ice Cream Maker manual below) in this awesome hand-pull mixer called the Extra Chef from Tupperware (cuts and whips over 200 times every 15 seconds) and chopped them all up and after it got all nice and mushy, added the liquid ingredients and used the whip attachment and whipped the bugger out of the mix! I felt this would be really key in aerating the mix which gave nice texture to the frozen result, albeit a tad icy cos I had to fully freeze it after 3 hours. For a better texture, this process would take you more time but it’s kind of like taking sips of water throughout the day, you go to your freezer take out the mix every hour and mix it about and return it to the freezer and at the end of 6 hours you have Ice Cream! 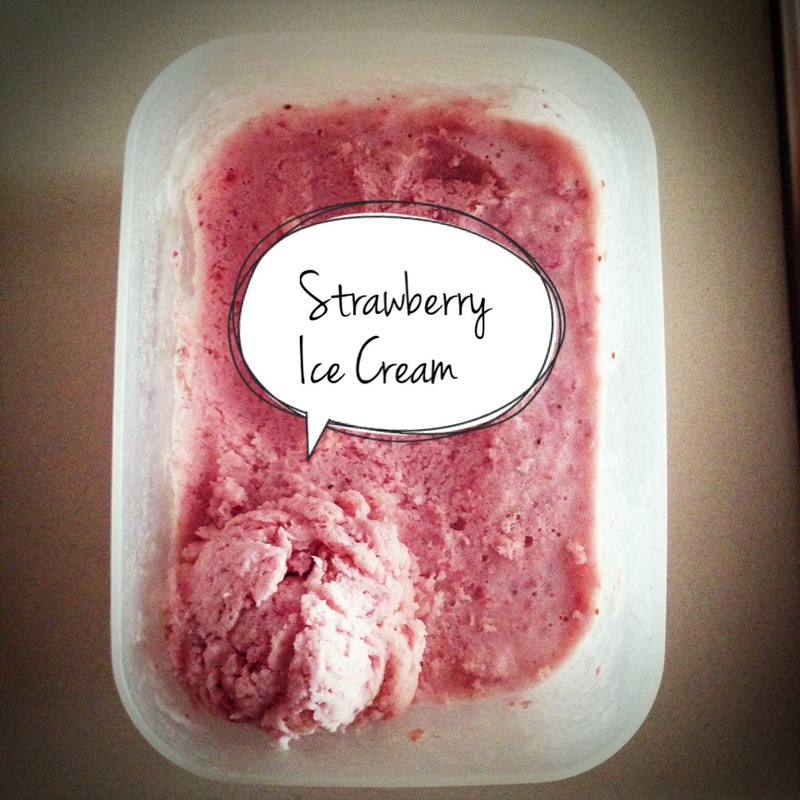 I thought this would also be a good time to do a throwback to another DIY Ice Cream method I shared some time back with a few simple household supplies. 1. Puree the strawberries, sugar vanilla extract and salt in a blender or food processor. 2. Add the cream and milk and pulse to combine. 3. Chill ice cream mixture and stir well before using. 4. Place mixture in a freezer-friendly container and place in the freezer. 5. 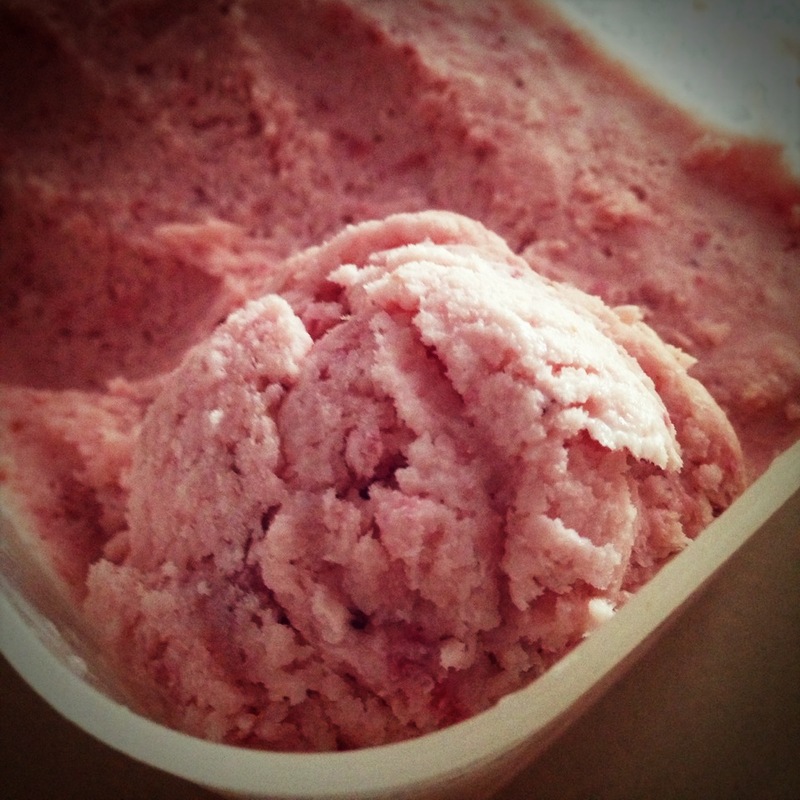 Do spot-checks every hour and churn it before placing back in the freezer. Repeat over 6 hours. Now my challenge is how to keep this away from my son 😛 Am going to try dairy-free ice cream next! Watch out for that! Just got some figs from the supermarket yesterday! Figs aren’t common in Singapore so I can’t wait to try out your recipe. Esp the maple syrup! Mmmm…. yay! 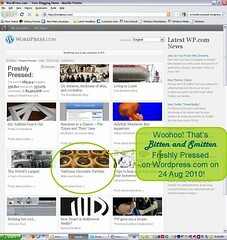 you’re back on the blog! 😀 more ice cream recipes to try. now i feel like having some too! ไหว้ (Wai) go to Thailand? 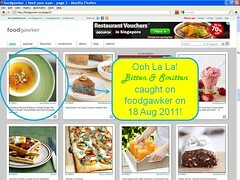 Bitten and Smitten on foodgawker! 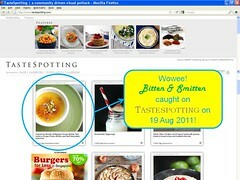 Bitten & Smitten on Tastespotting! 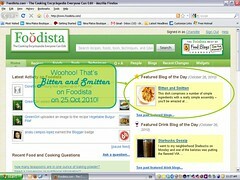 Bitten and Smitten on Foodista! Bitten and Smitten on Freshly Pressed! Enter your email address to bite Bitten and Smitten and receive pre-biting bites by email.